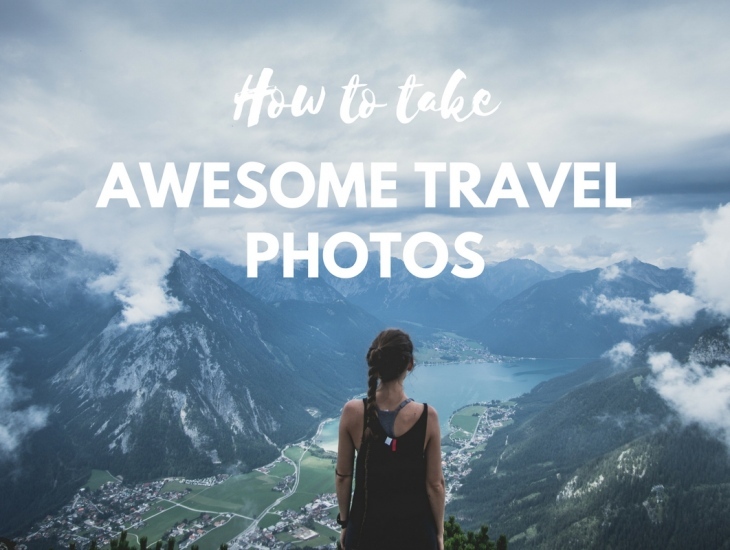 Who wouldn’t agree with the fact that the best way to document any travel trip these days is by taking photos? The more photos you take the more options to choose from. And isn’t it a dream of most people to travel having their own photographer with them? Unfortunately, though that is not the case. Most of the time many rely on friends they travel with, a couple of strangers or more, or just simply settle for a selfie – because, why not? Taking selfies is widely known these days. However, gone are the days that arms alone are the only tool that could be used to take one. Below are some helpful tips for taking that perfect-ish selfie travel photo. One of the awkward moments in traveling solo is asking a stranger to take a photo of you. It feels odd to give out instructions, especially if it includes shooting you from a low or high angle and if you haven’t thought about your pose yet, which could take time. Bringing in a tripod could fix that. Not only it helps in keeping the camera still, it also allows you to think or plan on how your photo should be shot. An intervalometer is basically a device, like that of a remote, the difference is that it gets connected to a camera or a smartphone which automatically sets an accurate time interval while taking photos. It is also known that intervalometers trigger exposures, hence became widely used in taking time-lapse series. There are times when we have to forget about the hashtag “no filter” and just embrace the fact that filters could actually be of real help. Especially if one of the focus in a photograph is the face. Applications such as Retrica and Facetune are some good examples. Using these applications, one could easily do teeth whitening, removal of blemishes and so much more. Using a wide-angle lens takes the focus on your face and exposing the scenery more. If using the smartphone to take a selfie, a fish-eye lens could do the trick. This trick could help those who prefer to have hundreds, or even more, photos to choose from. Just turn the video on and start shooting while you decide which angle or smile you would want to do. You could watch the video on your free time and if you see a shot that passes the criteria, you can then easily just do a screenshot. If you don’t prefer doing screenshots, then settle to the camera’s burst mode. Where you can just easily save the shots you prefer, and delete those which didn’t pass the quality you envisioned. Whether you mastered the skill of taking selfies or not, sometimes you cannot just do everything alone. No matter how awkward it could be, for the sake of at least one Instagrammable photo, asking a stranger could really help. This may sound to be a go-to option, but there are times that the shots taken by strangers turn out to be not the best ones. Find people with a good camera strapped to their body, they usually take the good shots. And don’t forget to return the favor too, or at least offer. Selfie sticks are recently being banned from amusement parks, waterparks and the like, and there is a good reason behind that for sure. Thus, investing in a drone is a better alternative. Fortunately, many drones now can already be controlled using a mobile app, which means you don’t need to bring bulky controls anymore. You may have the best gadget in taking photos any traveler could have, but it doesn’t just end there. Keeping yourself equipped with new skills and knowledge is also as important. While you invest in good quality cameras or accessories, venture as well on a photography course online. These courses will surely allow you to be resourceful and creative at the same time. See, taking selfies is not bad after all. Especially if it’s taken at the right angle with a good background and a very interesting new skill.